Home/Health-Articles/Where Is Lyme Disease Found? Your doctor may say Lyme disease doesn’t exist in your area, but odds are, it’s there. In fact, a new report from Quest Diagnostics found that Lyme has been detected in all 50 states and the District of Columbia. 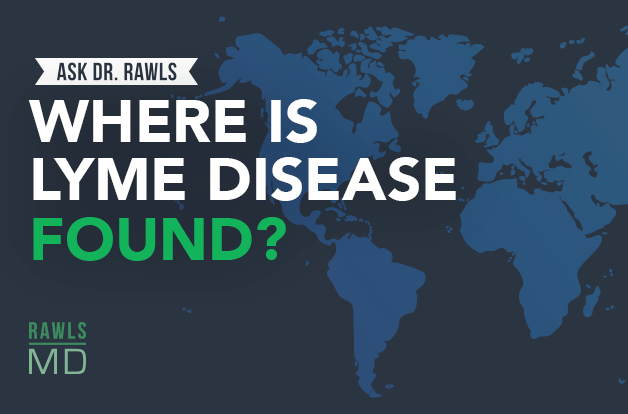 Learn how widespread and underreported Lyme is from Dr. Bill Rawls in this video. Question: Where Is Lyme Disease Found? What I can tell you is, with all the research that I’ve done since then, Lyme disease is wherever you look for it. The problem is that the testing is often unreliable, and there are many species of borrelia bacteria that can cause Lyme disease or Lyme-like syndromes. We know right now that there are at least 12 species that do, but we’re thinking that there are probably a whole lot more, and the testing doesn’t test for all of them. Then you’ve got all the other illnesses that can be carried by ticks. So this idea that some ticks carry Lyme disease and other ticks don’t carry Lyme disease – well, it’s true. Some ticks don’t carry borrelia, but all ticks carry microbes. In fact, they found that even one species of tick can carry several hundred species of different microbes that can potentially infect humans. I can tell you, every tick bite is an invitation for microbes to enter your system. Every tick bite. As far as borrelia is concerned, you just have to look for it. They have found ticks with borrelia all the way at the top of the Arctic Circle in low-lying bushes. They’ve found ticks with borrelia in the tropics. Borrelia has been around a long time. They found ticks with borrelia buried in amber, in the Dominican Republic, that are 15 million years old. So this is a very, very common microbe. It’s out there. It’s very widespread. Just because you’ve had a negative test, if you’ve got all the symptoms of Lyme disease and you think you have a history of a tick bite, you are carrying microbes that have been carried by ticks. There’s absolutely no doubt about it. And yes, Lyme is much more widespread and much more undiagnosed than anyone can possibly imagine.